Dedicated to strengthening U.S.-Japan relations through education, programs, and research. Sasakawa USA has published a new book, The New National Defense Program Guidelines: Aligning U.S. and Japanese Defense Strategies for the Third Post-Cold War Era. Download a copy today. View a video and photos from our Cherry Blossom Festival Event: U.S.-Japan Leadership and Collaboration in Emerging Technologies on April 2. Silicon Valley experts discussed autonomous driving vehicles. The Security Forum on April 24 at the Willard InterContinental Hotel will be streamed online here. The day-long event will feature key experts and officials discussing future challenges for the U.S. and Japan. In his latest Chairman's Message, Admiral Dennis Blair advocates for getting the United States back to basics, both in policy towards North Korea and in the administration's overall Asian policies. 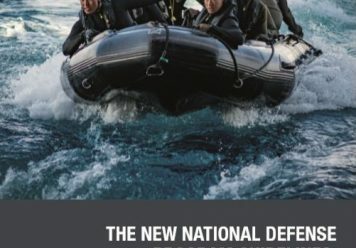 In The New National Defense Program Guidelines: Aligning U.S. and Japanese Defense Strategies for the Third Post-Cold War Era, a bilateral group of Japanese and American scholars and former defense officials examine the policy implications of the new NDPG. 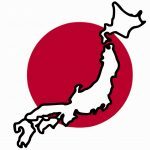 In a collection of papers, they analyze the global changes in the post-Cold War security environment that stimulated adjustments to Japan’s defense policy, identify the common challenges faced by the two allies, and emphasize the opportunities for cooperation between the United States and Japan. Japan Political Pulse aggregates major opinion polls conducted by Japanese media outlets in order to provide a more accurate picture of the public approval ratings of Japanese Prime Minister Shinzo Abe and his cabinet. Sign up to receive news & events from Sasakawa USA. 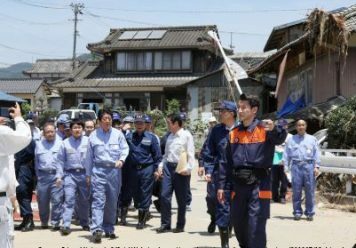 MAP, a new joint initiative of Sasakawa USA and The National Bureau of Asian Research, improves public understanding of critical maritime problems and possible routes to their peaceful resolution. MAP features a unique, interactive map that visualizes key data at the heart of ongoing maritime disputes and related issues, alongside analytical papers and discussions. 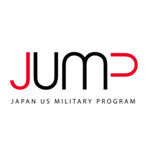 The Japan U.S. Military Program (JUMP) connects past and present service members, families, and government civilians who have served in Japan, providing a powerful foundation for continued engagement that will help sustain this important bilateral relationship. 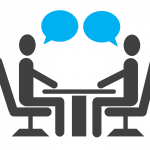 Sasakawa Forum provides a new platform for research and analysis related to Japan and U.S.-Japan relations in a bilateral, regional, and global context. Click through for the latest published work and details on how to submit. Ever wonder what Collective Self-Defense means? Or wanted to track the history of Abenomics policy? How about learning more about Japan's demographic crisis brought on by the combination of low birthrates and the world’s longest life expectancy? Find all that and more in our Issue Briefs section, which provides guides to the top issues affecting the U.S.-Japan relationship today. Sasakawa USA’s research fellows have curated a list of documents that are key to the U.S.-Japan relationship, from its inception to today. 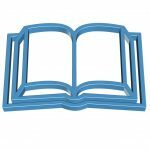 The U.S.-Japan Resource Library is the ultimate reference guide to the treaties, articles, laws, and statements that have helped build and shape the tenor of that bilateral relationship.